I 2007 konkluderte The Worlds Cancer Research Fund med overbevisende årskssammenheng mellom inntaket av rødt kjøtt, bearbeidet kjøtt og utvikling av kreft i tykktarm og endetarm. Siden da kom det flere studier som støtter sammenhengen. Inntak av animalske produkter er også assosiert med flere andre typer kreft. Økt inntak av grønnsaker, frukt, belgvekster, fullkorn, bær og nøtter kan derimot gi flere helsefordeler og kan beskytte mot kreft. 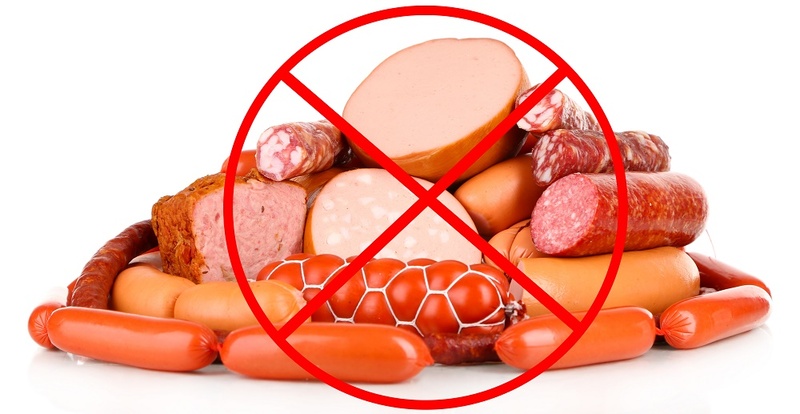 –Wei Y, Zou D, Cao D, Xie P. Association between processed meat and red meat consumption and risk for glioma: a meta-analysis from 14 articles. Nutrition. 2015 Jan;31(1):45-50. doi: 10.1016/j.nut.2014.04.022. Epub 2014 May 10. PubMed PMID: 25466652. –Norat T, Aune D, Chan D, Romaguera D. Fruits and Vegetables: Updating the Epidemiologic Evidence for the WCRF/AICR Lifestyle Recommendations for Cancer Prevention. Cancer Treat Res. 2014;159:35–50. –Tse G, Eslick GD. Egg consumption and risk of GI neoplasms: dose-response meta-analysis and systematic review. Eur J Nutr. 2014 Feb 6. –Aune D, Chan DS, Vieira AR, Navarro Rosenblatt DA, Vieira R, Greenwood DC, Kampman E, Norat T. Red and processed meat intake and risk of colorectal adenomas: a systematic review and meta-analysis of epidemiological studies. Cancer Causes Control. 2013 Apr;24(4):611-27. doi: 10.1007/s10552-012-0139-z. Epub 2013 Feb 5. –Aune D, Chan DSM, Lau R, Vieira R, Greenwood DC, Kampman E, et al. Dietary fibre, whole grains, and risk of colorectal cancer: systematic review and dose-response meta-analysis of prospective studies. BMJ. 2011;343(November):d6617. –Aune D, De Stefani E, Ronco A, Boffetta P, Deneo-Pellegrini H, Acosta G, et al. Legume intake and the risk of cancer: a multisite case-control study in Uruguay. Cancer Causes Control. 2009;20:1605–15. –Key TJ, Appleby PN, Spencer EA, Travis RC, Allen NE, Thorogood M, et al. Cancer incidence in British vegetarians. Br J Cancer. 2009 Jul 7;101(1):192–7. -Aldoori WH, Giovannucci EL, Rimm EB, Wing AL, Trichopoulos D V, Willett WC. A prospective study of diet and the risk of symptomatic diverticular disease in men. Am J Clin Nutr. 1994 Nov;60(5):757–64.